The Coombe Lying-in (Maternity) Hospital | Come Here To Me! “Towards the end of the 1825, two women in a vain attempt to reach the Rotunda hospital perished, together with their new born in the snow. When this became known, a number of benevolent and well disposed people founded the Coombe Lying-in Hospital in the year 1826 for the relief of poor women. Leading the charitable Committee was a Mrs. Margaret Boyle of Upper Street, Dublin. There had been a hospital on this site for close to 200 years, with the foundation stone for the “Meath Hospital and County Dublin Infirmary” being laid in 1770. This hospital operated in this guise for over fifty years until it was closed in 1823. In 1826 Mrs. Margaret Boyle founded the Coombe Lying-In Hospital on the site, with the Guinness family as one of the hospital’s benefactors. It was Dublin’s second maternity hospital, the first being the Rotunda. The old Coombe hospital closed and relocated to a newly built premises in 1967. The building was demolished in order to make way for Dublin Corporation housing. 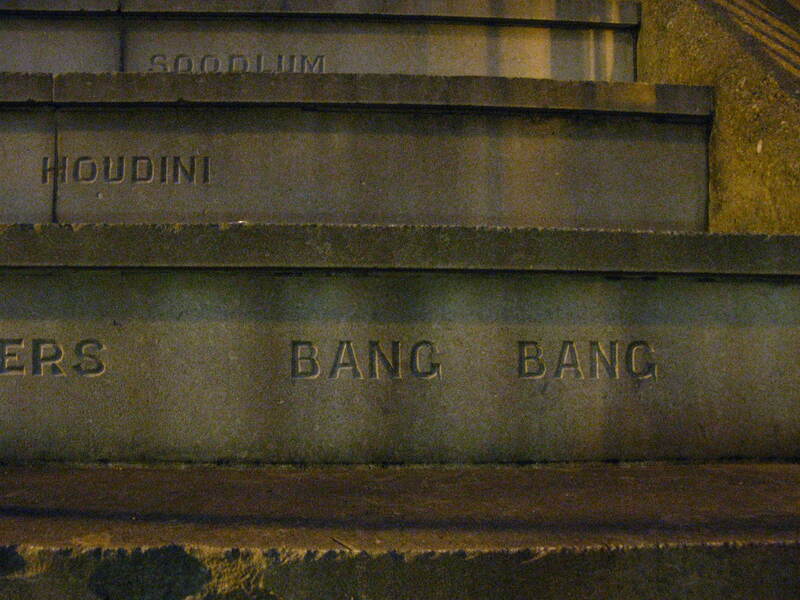 Interestingly, the steps at the back of the monument are a memorial to Dublin’s characters of old. Bang Bang and Johnny Forty Coats feature, along with a host of others. If you’re interested in taking a look for yourself, the monument can be found near the corner of the Coombe and Brabazon Street. Well recommended if you are taking part in The Liberties Festival this summer. never seen it before, I will look the next time.! Thanks for posting this. Lady Hogan is a name on the monument. Would love to find out more on him as he was my great uncle! I saw a pen sketch of the old Coombe hospital on the web but I’ve lost it; looked to have been drawn sometime in the 60s. Anybody can help identify artist?